Human cravenness for perfection with less effort has made wonders in economy. Everyday everything is going smart just like a mobile phone, machineries in manufacturing house are also adopting advanced technologies to serve the requirements of mass production. Nowadays, most of machines come with CNC system, CNC stands for Computer Numerical Control. 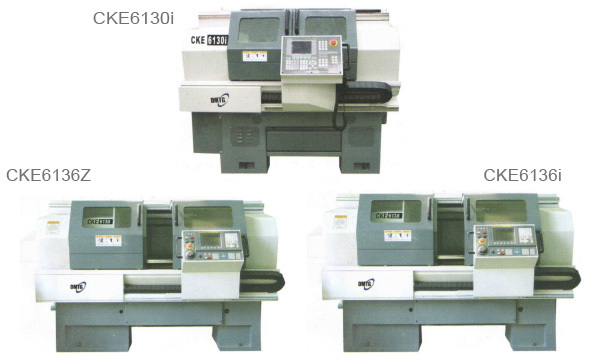 Some of the examples of CNC machines are CNC Lathe Machine, CNC Milling Machine, CNC Turning Machine, and many more. This article mainly focuses on CNC Turning machine and its specification and application. What is CNC Turning Machine? The CNC Turning machine is used for milling and shaping purposes of a non-rotary material in the factories. It provides shape to material by cutting away unwanted material. It is controlled by CNC system. The equipment is very useful if one has to manufacture similar items in a symmetrical fashion for large scale basis. The turning machines are usually used to machine and produce specific and important components, especially intricate designs such as automobile parts and components, aeronautical parts, railings, table and chair legs, as well as other similar parts. The CNC system helps the operator to easily operate turning machine. The system has various alphabetical and numerical keys on it. The alphabetical keys are for G code which is used for Tool functioning and the numerical keys are for M code which is used for Machine functioning. The CNC system consists of control panel through which the operator can control the functioning of the machine. It also contains a screen by which the machinist can check parameters of the machine and also any edit or input value in the system can be witnessed on screen. There is also a mechanism called Feed Controller which can regulate the cutting speed of machine. The RPM can control the speed of spindle which can be done automatically by pressing its button as well as manually. The CNC machine has an amazing feature of alarm, which starts ringing whenever any issue occurs with machine. The very useful component of the machine is chuck which is used to clamp, unclamp and hold any material. It is bolted on spindle which rotates the chuck. It is two, three and four jaw according to the requirement of machine. Basically, two jaw is for rectangle work piece, three jaw for round and four jaw for square work piece. The spindle rotates and shapes the material is due to hydraulic pressure which is managed by Hydraulic System. The system also contains conveyor which carries the raw material to the chuck and brings back the finished products. To facilitate the user in the best manner, the machine contains a feature of Emergency Release, which is used to skip any operation of the machine simply by pressing it. The CNC turning machine also considers the operator’s safety. Hence, it comes with Chip Guard Door so that the product does not pop out of the machine and hurt anyone during operation. There is lubrication system which promotes smooth functioning of the turning machine. It reduces the friction between the components of machine caused due to its continuous working. There is alarm which is attached to it that rings whenever there is insufficient quality of lubricant. Another important feature of this machine is its coolant function which outpours the liquid, generally water to cool down the finished products. The safety always comes first while dealing with manufacturing of any product. The operator must have PPE, that is, Personal Protection Equipment. It consists of Helmet, Goggles, Mouth mask, Ear plugs, Dungaree and Apron, Hand gloves and Safety shoes. The PPE is essential for operator’s safety as it will lessen the effects of uncertainties during the operation or manufacturing process. Conclusion: One must ensure the maintenance of CNC turning machine to maintain its high performance levels. Bhavya Machine Tools is a leading supplier and exporter of CNC Turning Machine in India. The company offers a wide array of high quality products such as Press Brake, Slotting Machine, Wood working Machine, Radial Drill Machine, Lathe Machine, Hydraulic Lathe Machine, Machines Tools, Shaping Machine, Sheet Metal Machinery, Universal All Geared Lathe Machine, Lathe Machine Accessories and many more equipment. The company is equipped with an advanced infrastructure and skilled and experienced staff. We deliver supreme grade products and unmatched customer services at cost-effective rates to our esteemed customers throughout the world.